[prMac.com] Vienna, Austria - Independent developer Jorg Piringer today is pleased to announce the release of Gravity Tweets 1.0.1, his unique twitter client for iPhone, iPod touch and iPad. Reading your tweets has never been so beautiful. 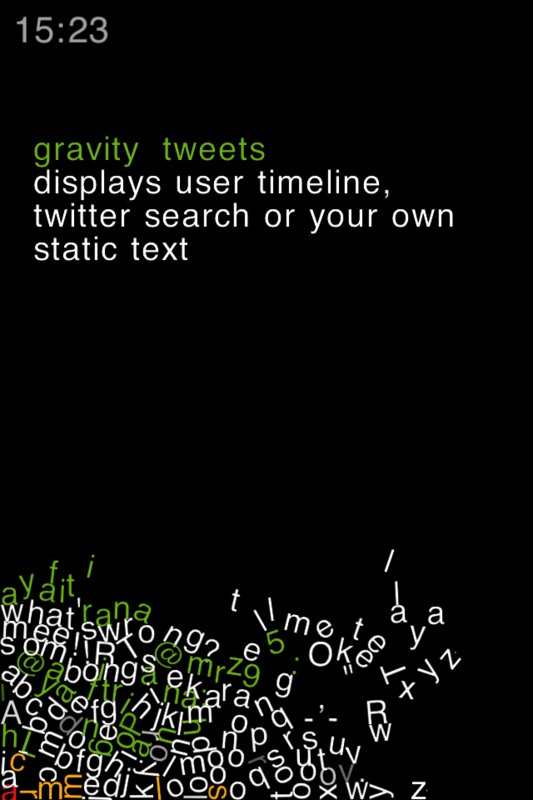 Available as a free download from the App Store, Gravity Tweets is a unique twitter visualizer that reacts to gravity. 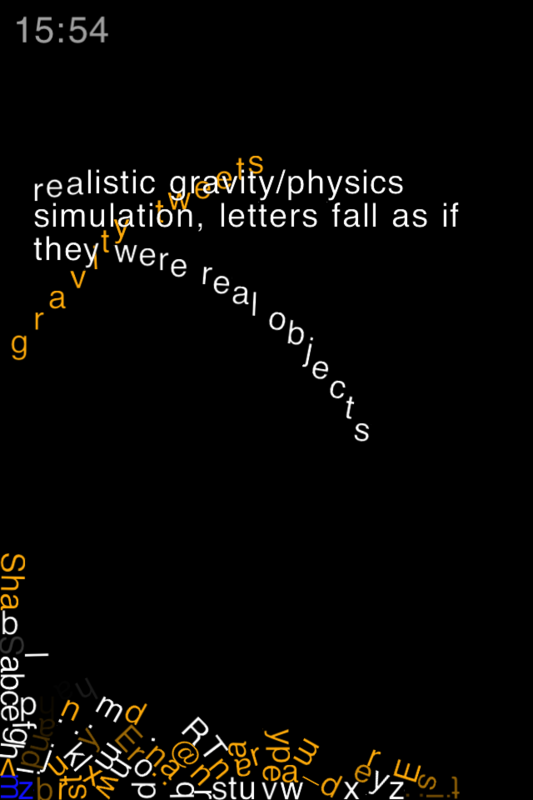 Gravity Tweets combines a physics simulator with a minimalistic tweet display to create a novel tweet viewer. The app is not a full featured twitter client but rather a program to view tweets in a relaxing way. Twitter message of a user's timeline or a search request appear and after a certain time the characters start to tumble down as if they were real objects reacting to gravity and the laws of physics. Gravity Tweets 1.0.1 is free and available worldwide exclusively through the App Store in the Social Networking category. Jorg Piringer is a media artist, musician and poet living in Vienna, Austria. He is a member of the Vegetable Orchestra and the Institute for Transacoustic Research. He works as a freelance artist and researcher in the fields of electronic music, radio art, sound and visual electronic poetry, online communities, live performance, sound installation, computer games and video art. Copyright (C) 2010 Jorg Piringer. All Rights Reserved. Apple, the Apple logo, iPhone, iPod and iPad are registered trademarks of Apple Inc. in the U.S. and/or other countries.